Deep within the bowels of Red Storm Entertainment, a new system for delivering fresh, new coffee was recently installed. For the sake of educating their employee populace, this educational tutorial video was created, and Red Storm was kind enough to share it with the rest of the world. Filmed at Trigger Time, sounds recorded by Ubisoft Toronto and Red Storm sound teams. The event was coordinated by Travis Getz. The final artillery blast simulator is by Cyalume. 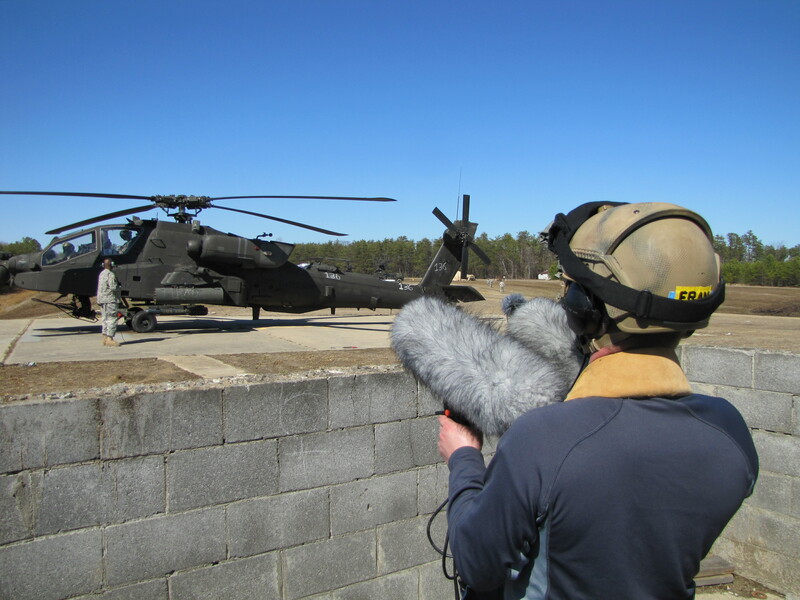 Last Friday, sound designers and authenticity staff from Red Storm Entertainment, based in Cary, North Carolina, accompanied the aviators and ground crews of the 1-130th Attack Reconnaissance Battalion. 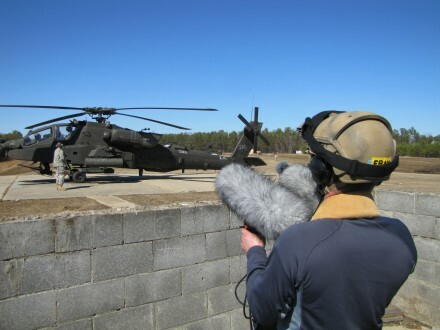 Their purpose was to record audio of the AH-64D Longbow Apache Attack helicopter, including the start up and take-off procedure and cockpit chatter. You can read the full story at the North Carolina National Guard site.